Winter is fast approaching, and depending on where you live it is time to get ready for some serious snowfall. Although shoveling snow is great exercise, it is time consuming- something you may not have a lot of early in the morning before work. 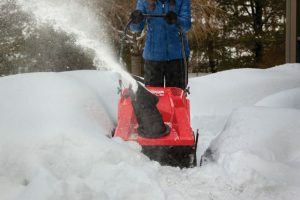 Enter the Troy-Bilt 2100 Single-stage Snow Thrower, a powerful, yet easy to handle machine that can cut through snow with ease. 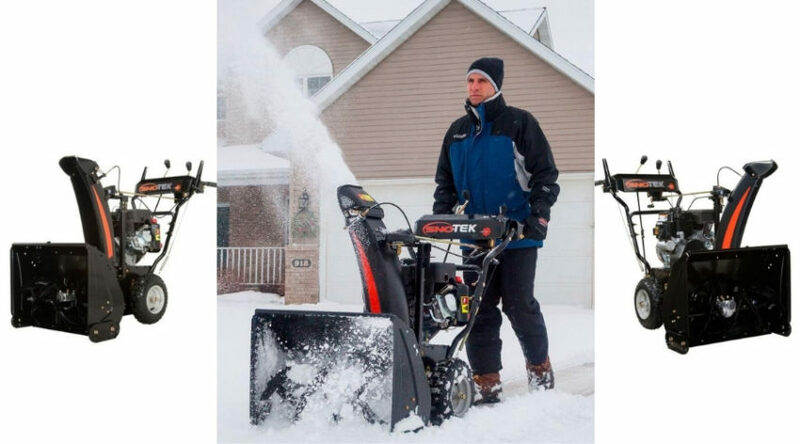 This compact snow blower starts easy and is a perfect solution for those days when snow clearance is a necessity, and time is a commodity. Troy-Bilt coined the phrase ‘built for life’ for a reason. The dual meaning not only claims their products can handle anything life can throw at them, but also that they will be around for a long time. The company first came to life in 1937 when it began to introduce products made for easy, simple, affordable lawn care. Since then it has grown in leaps and bounds to address all your outdoor seasonal needs, and beliefs rugged, reliable, and durable products are exactly what you need to get the job done. The Squall series of snow throwers are powerful, compact machines that can move heavy snow quickly, and to where you need it. 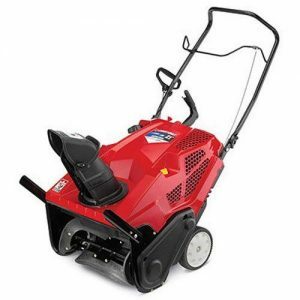 The 2100, 208cc gas powered model is perfect for large, flat areas that needs clearing fast. Despite boasting a 4-cycle engine, it has an easy push button start, that gets you moving on the job that much faster- and makes it that much easier on your body. If shoveling your drive has become a monotonous chore each winter, then taking a look at these features is worth the time it takes to determine what your winter needs are. 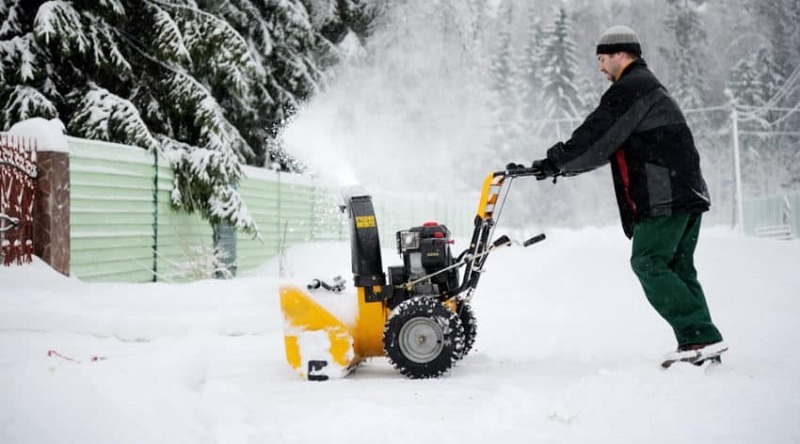 Using a snow thrower is a much easier, and quicker way to clear off larger areas of snowfall- plus, snow shoveling is a difficult job for many, and can actually be dangerous if you are not used to the amount of physical strength it entails. As with any product produced by a well established company, there is a long list of features and benefits for you to consider when contemplating a purchase. By reviewing these specifications you can better judge if this is the machine for you. A 208cc engine is a powerful piece of machinery to help get what you need done, done. This is equivalent to 5.5 to 6 hp, meaning you have the power of approximately 6- 1000 pound animals keeping this thing running. When powering through heavy, wet snow, this is exactly what you need to get it moved out of the way. 4-cycle engine does, of course, require both oil for lubrication, and unleaded gas to run. These 4 stroke engines use a total of 4 pistons to power fuel through the engine and then push the combustion out. These create a powerfully running engine that can pretty much handle most anything you can put it up against within reason. Some snow blowers have two augers, one that lifts up the snow and another that tosses it through the chute. 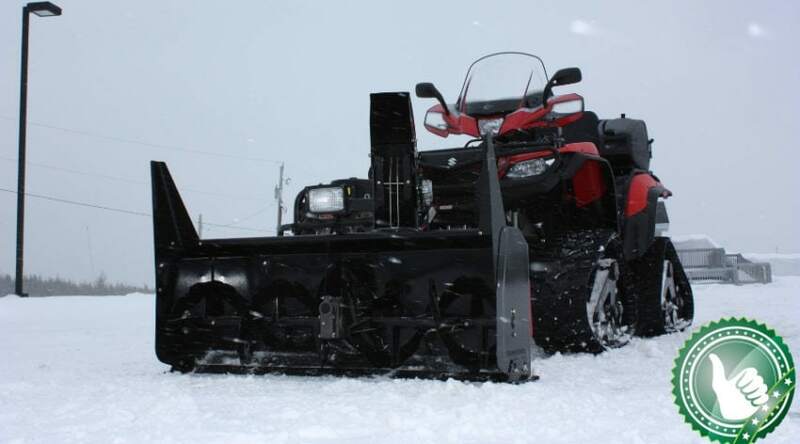 This is where the powerful 208cc engine comes in handy as it can power a single auger to both pick snow up and toss it without the need of a secondary set of paddles. Basically, what an auger does is ‘chop’ up the snow in front of it through the use of a series of paddles as it it spins. This spinning then feeds the snow through the machinery, and up and out of the chute to be thrown out of your way. As a gas-powered engine, you do need to prime to start, but once this is done you are able to start this engineup with just the start of a button. No more fighting the cold to get the engine set, nor do you have to wrench your shoulder out trying to get your engine to fire up. This is a great feature for anyone who doesn’t have the physical capability to pull start an engine, which often keeps them from being able to purchase more powerful machinery. 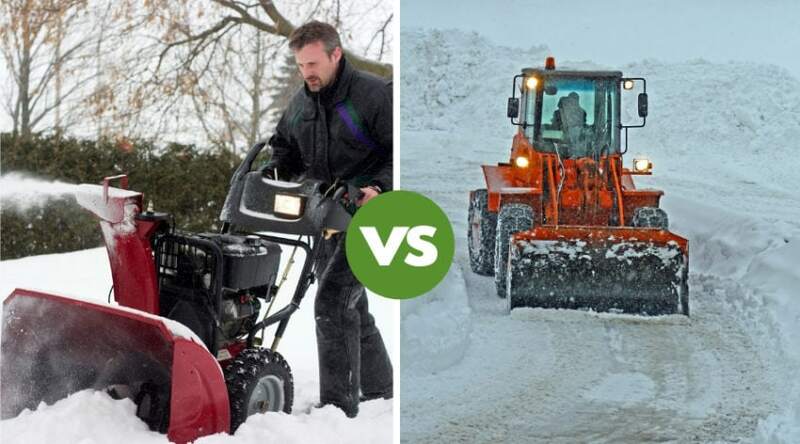 And let’s face it, using a snow blower is much more convenient than shoveling your drive, especially when it becomes a daily chore- as it does in so many northern states. Large Clearing Area. For a more compact blower, this one can pack a punch in terms of how much snow it can move in just one pass. The auger is 21 inches wide and can handle up to 13 inches of snowfall height. Even with a heavier snowfall you can move what you need with more than one pass of the blower. 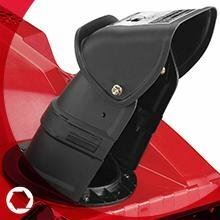 With the 2 way remote, 190 degree chute, you can throw snow in any direction with just a simple movement of the chute handle. This way you don’t have to plan out your clearance path in advance to keep snow from getting where you don’t want it; but instead can make more efficient time by simple moving your chute in the direction you need the snow to blow. 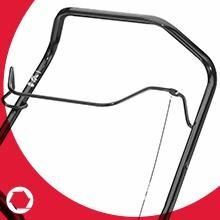 This chute has the capability of throwing the snow 30 feet or more, plus it is fully adjustable to throw at your needed height when the snow begins to get piled up. The 190 degree angle is slightly larger than most, allowing you to get the snow behind you as well as you work rather than only straight to the side. When snow begins to pile up alongside your driveway, you often need to get it moved further out of the way. 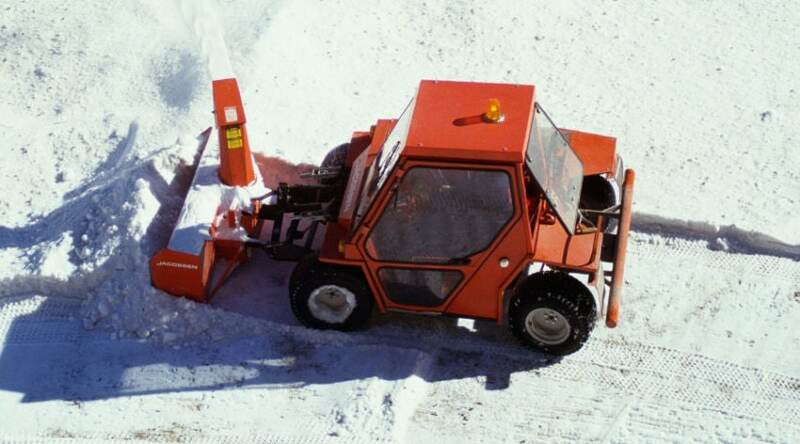 The adjustable drift cutter arms on this machine are capable of helping to cut into the drifts and allow the snow blower to pick up the snow to push it further out of the way. This is a nice, easy to use feature that can come in handy during the later winter months after snow begins to build up and pack down. It also provides a nice level surface to keep snow from falling back down onto what you have been clearing. Let’s face it, storing a snowblower can be a bit of a pain, no matter how compact it is. The handles on this model are capable of folding down with just a slight twist to help better manage your storage space. They also have a comfortable ergonomic grip that better allows for people of various height and strength find their most comfortable position when in use. This machine weighs in just under 100 pounds, but is easy enough to move and maneuver into the areas you need to use in. 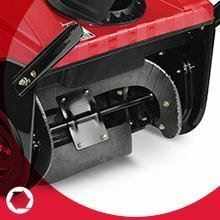 Although not self propelled, the movement of the auger helps pull the blower forward, creating a propelling effect that helps you get the job done more quickly and efficiently. Although not quite light enough to be lifting onto decks and other raised areas, it does work amazingly well for the many level surfaces you may have surrounding your property. 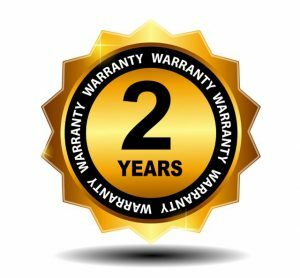 As with most brands that take pride in their machinery, Troy-Bilt offers a full manufacturer’s 2 year warranty. This should provide plenty of time to determine if any part of the product is defective, especially when used in areas of heavy snowfall. They also make it easy to return or get the parts needed as they are considered to have an excellent customer service hotline. 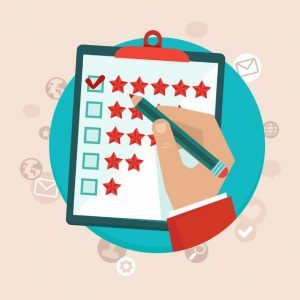 As with any product there are many reviews available to provide you with personal experiences, both good and bad, to help you decide if this is the best fit for you. 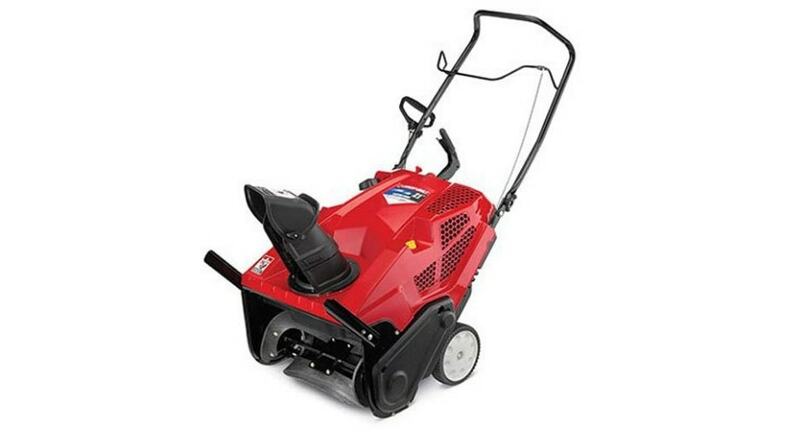 This particular snow thrower is highly rated by many consumers, and is a popular choice for areas that receive regular, heavy snowfalls. Topping the list of likes is the push button start and easy maneuverability. Being able to fire up your machine quickly in inclimate weather is a definite perk for many people, as is being able to move around parked vehicles in direways. Also impressive to many reviewers is how powerful it is for its size. Some people were initially skeptical of the single stage auger, but when backed by such a powerful engine those concerns became a moot point. Broken parts upon delivery topped the complaint chart, with a few issues surrounding the tires that may pack with heavier, wet snow. Although they can be traded out with something more durable, it is kind of a pain. Broken tires also were a complaint, citing a defect that was taken care of under the warranty. 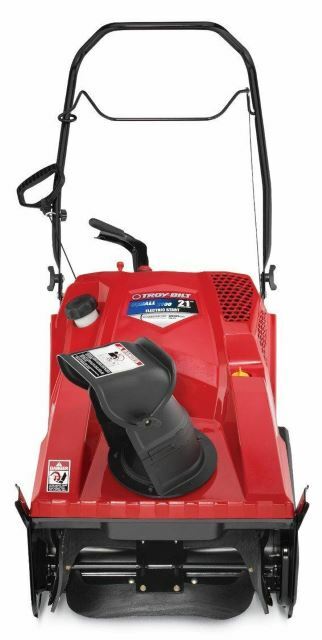 If you are on the market for a powerful, maneuverable, and easy to use snow blower, the Troy-Bilt Squall 2100 Single Stage Snow Thrower may be the perfect choice for you. Backed by a full 2 year warranty, and with an engine capable of handling just about anything you can throw at it, this machine is definitely worth a closer look. If you have any questions, comments, or experiences with this product we would love to hear about it below. And, as always, please share!